CEO David Nasca says bank is “strongly vested” in strength of community. Evans Bancorp isn’t backing down in its legal battle with State Attorney General Eric T. Schneiderman. 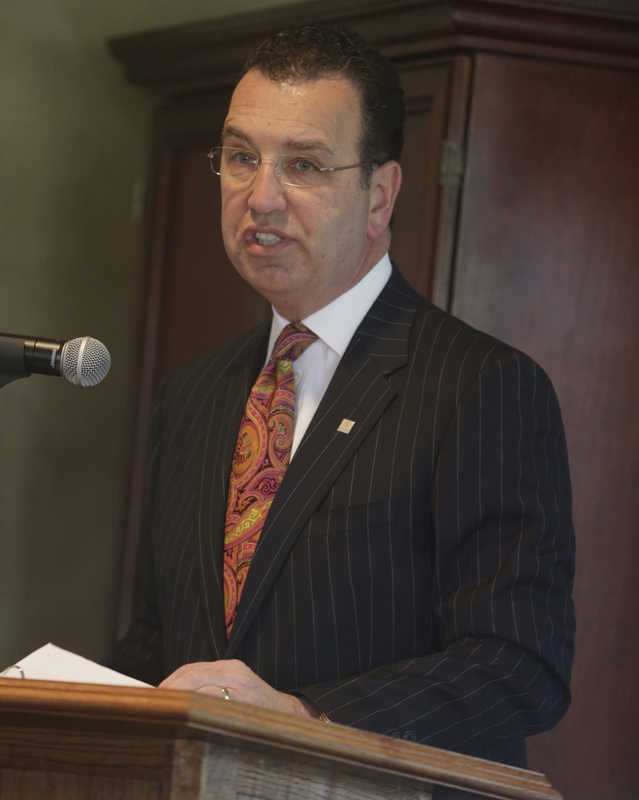 President and CEO David J. Nasca defended the bank’s lending record at its annual meeting Thursday in Hamburg. It was Evans’ first annual meeting since Schneiderman filed a lawsuit in September in U.S. District Court accusing the bank of redlining certain Buffalo neighborhoods. Nasca, in comments during and after the meeting, rejected the allegations, saying Evans has invested more than $25 million in the East Side since 2010. Evans and Schneiderman’s office met for a mediation session in January at the court’s direction. They haven’t met since but have continued to talk and share documents, Nasca said. Nasca told shareholders that the bank is “very strongly vested in the strength of our community. We therefore reject the premise that we have avoided serving any area of our market.” He said the bank expects to “vigorously challenge” the accusations in court. “It is not in our culture or DNA as a community bank to exclude anyone,” he said. The bank has set aside $1 million to deal with the case. Nicholas Benson, a spokesman for Schneiderman, said Thursday he had no update to provide on the case. Evans had record-high net income of $8.2 million in 2014, marking the third time in the last five years that it posted a record. In the first quarter of this year, the bank’s assets reached the $900 million mark for the first time in its history. Evans’ deposits in Erie County grew by 111 percent from 2006 to 2014, but the bank still had market share of only 1.9 percent, compared with market leader M&T’s 53 percent. “Deposit growth is one key to our current customer-acquisition strategy, and our rate of growth has accelerated during the past quarter,” Nasca said. The bank is also taking steps to bolster its revenues while keeping its expenses in check, he said. Meanwhile, Evans is on track to reopen its Lancaster branch at 4979 Transit Road in late summer, Nasca said. That location was destroyed by a fire last December. The bank is operating a temporary branch in a trailer on the property while it rebuilds the permanent branch. Evans will also move its Lockport insurance office from 135 Main St. to 5688 Transit Road within a few months, into a former KeyBank branch, Nasca said. Evans does not own either of the properties.